Midterm elections were Nov. 6, and the polls in this election saw a lot of first-time voters of all ages, as well as those who have not voted in years. 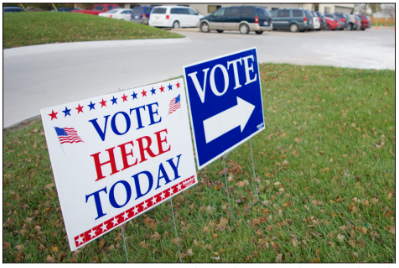 Adair county clerk Sandy Collop said voter turnout in the recent midterm election was higher than expected at just over 60 percent. She said this almost reached the turnout for the 2016 presidential election, which was about 68 percent. The bigger turnout led to delays in receiving results. Collop said the county received more absentee ballots than usual, and combined with the higher turnout, it took more time to count votes. Collop said she thinks the reasons for this high turnout were the number of referenda on the ballot and the United States Senate race. In that race, Missouri voters elected Republican Josh Hawley with over 51 percent of votes. Democratic incumbent Claire McCaskill received about 45 percent of votes. Adair County voters also favored Hawley, giving him almost 57 percent of the county’s votes while McCaskill earned 40 percent. In the race for Missouri state senator for the 18th District, Republican Cindy O’Laughlin defeated Democrat Crystal Stephens. O’Laughlin won over 70 percent of the vote throughout the district and about 60 percent in Adair County, while Stephens earned the remaining vote in the district and county. Republican Danny Busick won the race for the Missouri House of Representatives seat in the 3rd District by earning over 67 percent of the vote in the district, while Democrat Joni Perry received nearly 33 percent of the district vote. In Adair County, voters chose Busick with about 54 percent of the vote. Perry received around 45 percent of the local vote. Adair County voters elected Republican Mark Shahan as the Adair County Presiding Commissioner. Shahan defeated Democrat Rick Steele by a margin of almost 20 percent. Democrat Kristie J. Swaim was re-elected as the Associate 2nd Circuit Judge, defeating newcomer Independent Benjamin J. Gray. In the county, roughly 65 percent of voters cast their votes for the winning candidate, while Gray received about 34 percent of the county vote. There were also many amendments — which are proposed changes to the Missouri Constitution — and propositions — which are proposed laws that will then go to the General Assembly — on this ballot. Missouri voters passed Amendment 1, also known as Clean Missouri, with almost 62 percent of the vote. In Adair County, over 61 percent of voters also voted in favor of the amendment. The passing of this amendment limits gifts to legislators and bans them from becoming lobbyists immediately after serving in office, as well as other restrictions. The process for redrawing congressional district boundaries will also be revised. Missouri voters passed Amendment 2, legalizing marijuana for medical use in the state. The amendment calls for a 4 percent tax on marijuana products, and the tax revenue will be used for the Missouri Veterans Commission. Amendment 3 and Proposition C also concerned medical marijuana but did not get passed. In the state, nearly 66 percent of voters voted in favor of Amendment 2, while almost 60 percent of Adair County voters were in favor. Amendment 4 regarded the bingo rules in Missouri and was approved by over 52 of the state vote, but about 50 percent of voters in Adair County voted to block it. The passing of Amendment 4 alters current bingo rules by lowering the amount of experience needed to host a bingo game and removing language in the Missouri Constitution disallowing the advertisement of bingo games. Voters passed Proposition B to raise the current minimum wage with over 62 percent of the vote. Nearly 57 percent of voters in Adair County were also in favor of the proposition. Proposition B will raise the current $7.85 per hour minimum wage in the state by 85 cents over the next five years until it reaches $12. Voters blocked Proposition D, which regarded raising the gas tax in the state, with almost 54 percent not in favor. Adair County voters also voted against the proposition with almost 54 percent of the vote. The rejection of Proposition D means the current 17-cent gas tax in Missouri will not be raised.